A portion of Status Hero functionality is exposed via a RESTful, JSON-based API. To use the API, you’ll need your team ID and an API key. 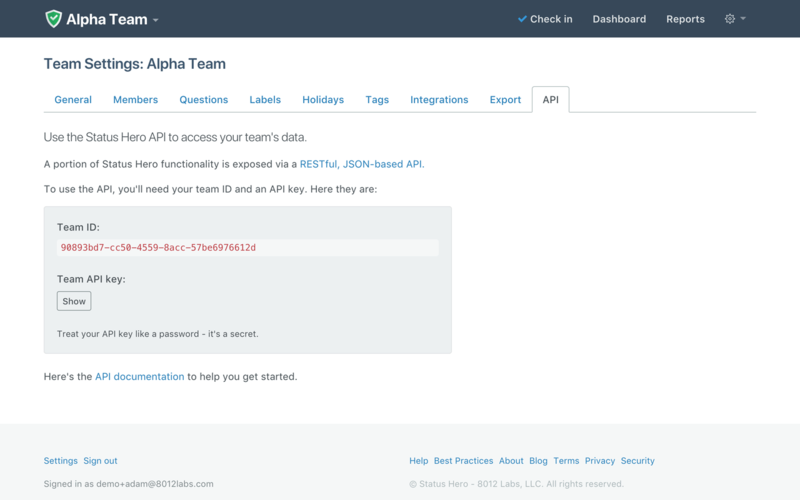 You can find your team ID and API key in the Team Settings - API section. Important: Treat your API key like a password - it’s a secret. Once you're ready, start with the API documentation.